This felty fresh invite features a modern text layout, eye-catching foil print, and delicate swirled accents. Trim options allow for even more personalized style. Trust me, your invitees won’t be able to keep their hands off this one! Snow white shimmer paper, confetti foil full of all the glitz and glam, and stylish layout combine to make this iridescent invitation truly shine a notch brighter than the rest. Simplicity and style at the same time --- what more could you ask for? In to more of a natural, floral feel? 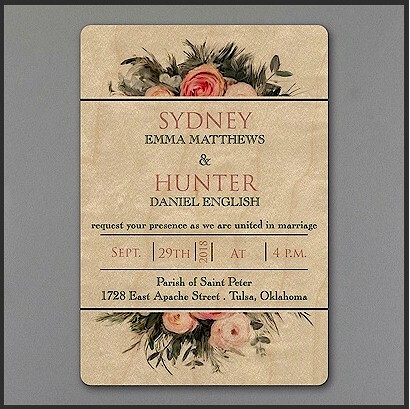 The real wood look and sheen of this invitation combines with delicate rose accents and handsome typography to create a naturally elegant and polished look. Looking for luxe? 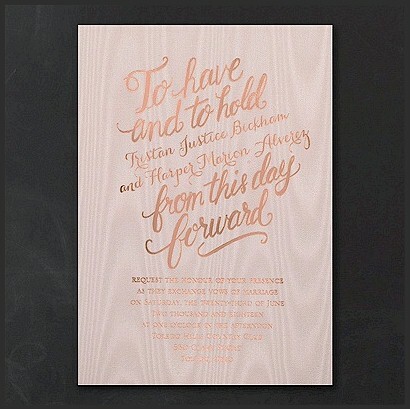 Look no further than this soft pink moire and elegantly designed invitation. 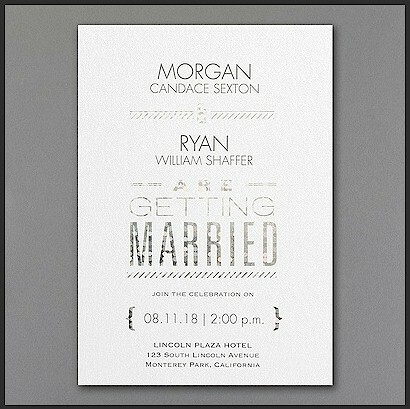 Choosing a unique trim style elevates this invite from stellar status to simply stunning. 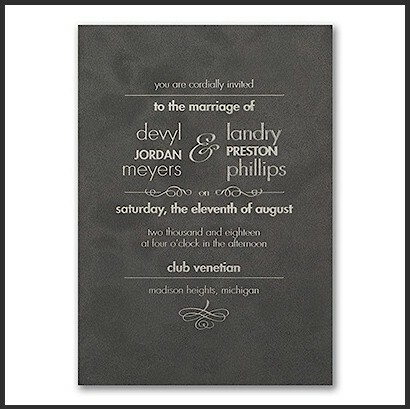 Intricate design gives this invite an extra punch. 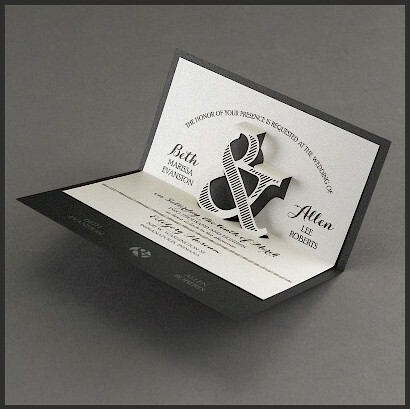 When guests open this invite, a stately pop-up ampersand and stylish text greets them in grand fashion. And we’ll end part one of this collection preview with the glam of the glittered bliss invitation. A silver glitter backer card shines through a die-cut “Mr. & Mrs.” wedding invitation. Glam and bliss rolled into one. Viola! More Invitation Goodies to Come! And this is just half of them! Stay tuned for part two, which will feature the remaining wedding invitations from the excellent 20Sixteen collection from Carlson Craft. 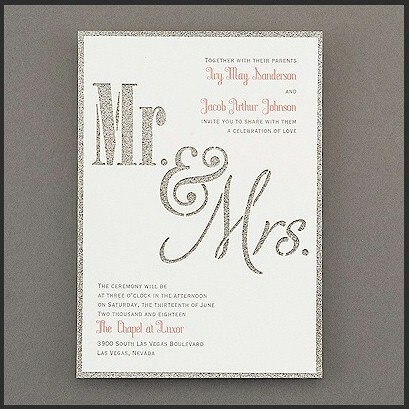 All of these wedding invitations are affordable and customizable --- the perfect combo!